Experience golf in Barbados, a tourism-, business- and investment-, and last but not least golf-friendly destination. If you are willing to have an exotic, warm and sunny golf break, then Barbados is definitely the place for you. The small island is a perfect holiday destination for golfers that are interested in nature and rare species, in water sports such as scuba diving in coral reefs, or for people who are simply willing to spend their golf break at sunny, exotic and coastal areas. As for the business-minded people, Barbados offers curious entrepreneurial ideas as it is one of the so called ‘offshore’ countries. 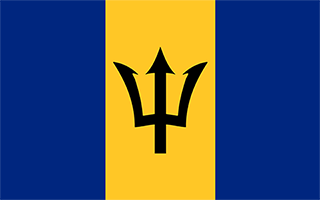 Barbados is an independent island in the Lesser Antilles in the North Atlantic that is only 34 km long and 23 km wide. Its population numbers little less than 300 000 residents, 80 000 of which live in the largest city and the country’s capital Bridgetown. Mind you that Barbados is one of the world’s most densely populated isles and is situated between Southern America and the Caribbean Plates. In the northeast of the island, in the so called Scotland District, there is erosion of limestone rocks that has formed curiously shaped caves and gullys among which some that attract plenty of tourists – the Harrison’s Cave and Welchman Hall Gully. The Atlantic east coast has predominantly limestone coastal landforms. Barbados can also offer beautiful coral reefs which the local authorities try very hard to preserve from destruction. Barbados is legendary with its unique animal and plant species. One of the country’s trade marks is the rare varieties of turtles. When planning a golf break in Barbados, you should consider that though the country is predominantly sunny and hot with an average of 30 degrees Celsius throughout the year, it has two seasons – a dry and a wet one, the latter including plenty of rainfalls. The ‘wet season’ stretches between June and November, and the dry one – between December and May. The country’s tropical climate is freshened up by the gentle breeze that cools the air throughout the entire year. Just in case you are a golfer that is hurricane-alert, it should be noted that Barbados is situated just outside the hurricane strike zone in the Atlantic, which makes it much less exposed to natural disasters than other islands in the region. Among other things, the small island country enchants with its friendly natives - the Barbadians that are colloquially referred to as Bajans and its colorful streets trimmed with neat buildings in pastel hues. This makes Barbados towns ideal for an afternoon stroll in between the golf rounds at one of the country’s beautiful and modern golf venues. What also makes the country convenient golf destination is the fact that its official language is English. Beware, however, as in Barbados this international language has its local dialect that is also referred to as Bajan and could be quite intelligible. In terms of golf venues, Barbados offers world-class facilities where a golfer or a golfer-to-be could enjoy the sunny weather and breath-taking nature throughout the year. Its world-class golf courses attract players from around the world, which grants the chance for interesting, inter-cultural meetings along with the comfort of experiencing luxurious golf rounds. Barbados has its Golf Association that keeps golfers around the world updated on the golf environment in the country. With its six golf courses, Barbados hosts several tournaments throughout the year that attract plenty of golfers from around the globe, predominantly participants from North America and Europe. Due to the developing golf industry more and more Barbadian hotels offer exclusive golf-packages, which makes the arrangements of smooth access to the golf venues and nice strolls and great cuisine in between swinging the club increasingly well-tailored. More and more Barbados is emerging as the primary golf-break destination in the Caribbean. Suffice it to say that in 2004 world-famous golfer Tiger Woods chose Barbados among all places for his wedding ceremony that took place at the Sandy Lane Golf Course, situated in mid-west coast of the island. The other reputable courses in Barbados are the Barbados Golf Club, Royal Westmoreland, Sandy Lane Golf Club, Rockley Golf Course, Almond Beach Village and Apres Hill Golf Club. Along with premium golf facilities, the courses offer first-class restaurants, spa centers and tennis courts and have arrangements with premium hotels. In addition to golf and nice Caribbean nature, in Barbados you can experience unique cruises and submarine tours, you can scuba dive, yacht, see the local Bajan culture, get a taste of the great Barbadian cuisine, enjoy horse-back riding and take some historic tours. All this makes Barbados a great escape from the busy life and an attractive destination for a golf-break and holiday.